Historically, family-based immigration and family reunification immigration received favored status under US immigration laws. The Immigration and Nationality Act allows for close relatives of US citizens and legal permanent residents to immigrate to the US. The ease and speed in which this can be accomplished depends on the relationship of the family members, whether the sponsor is a US citizen or a Lawful Permanent Resident (LPR) and, sometimes, the country where the family member is located. Preliminarily, family immigration law as stipulated in the Immigration and Nationality Act (INA) creates two groups for family members: immediate relatives and family-based preference categories. Procedurally, the “immediate relative” category has advantages over the preference categories. There are no caps or quotas on the number of visas available each year. Further, if they entered the US legally, “immediate relatives” are exempt from certain “bars”, such as unauthorized employment, overstaying their time of admission, or violating their specific non-immigrant status. On the other hand, spouses and children of immediate relative immigrants – unlike those of preference aliens – do not obtain “derivative” status. In other words, under family immigration to the USA, if a person immigrates as an “immediate relative” parent of a US citizen, that person’s spouse or minor children would not also automatically qualify for immigration visas, whereas a spouse or minor child of a preference alien would automatically be eligible. As such, the sponsoring US citizen must file separate petitions for each beneficiary. The family members who don’t fall into the “immediate relative” classification will be subject to numerical limitations, which vary depending on which of the preference categories (described below) applies. Numerical Limitation means there are a certain number of green cards allocated each year to those types of family-based immigration cases. For example, each year only 23,400 unmarried adult (21 or older) children of US citizens can become permanent residents based on their US citizen parents’ petitions. Since there are many more applicants than this number, there is a queue or waiting list. Each family-based immigration priority case has a place in that waiting list, which is determined by the date when the case was filed, known as the “Priority Date”. The applicant must continuously track his or her place in the queue, so that when their date comes up, i.e. the “Priority Date” becomes current, they can file the necessary forms and documents to become permanent residents. To help track those priority dates, the US Department of State publishes a monthly Visa Bulletin, which shows the dates on which the beneficiary can file papers to obtain an immigrant visa or to adjust his/her status. If you obtained a green card based on your marriage to a US citizen, you will most likely receive a so-called “conditional permanent resident” card (unless you have been married to your US citizen spouse for more than two years at the time your green card is approved). A conditional green card is only valid for two years. Within 90 days before your conditional card expires, you must – under family immigration law – file Form I-751 with the United Citizenship and Immigration Services (USCIS) to remove conditions on your permanent residence and obtain a permanent green card that is not tied to your marriage and is valid for 10 years. Under normal circumstances with family-based immigration, you and your US citizen spouse must sign the petition together and submit additional evidence to prove that you are still married and have been living together for the last two years. However, in some cases, by the time you have to apply to remove conditions on your residence, you may be separated or even divorced from your US citizen spouse. If you are separated but not divorced, you may still file the petition together with your US citizen spouse. However, under family immigration law, it is crucial that you answer all questions on the application truthfully and disclose that you are living apart. If an interview is scheduled, your spouse must appear with you. If you are separated because you will be divorced, you need to file without your US citizen spouse, mark in the application that you are “divorced”, and clearly disclose in an addendum that you are separated but not divorced. USCIS will accept your case and issue a receipt, which will automatically extend your green card for one year. When the USCIS officer eventually reviews your case, he or she will see that, at the time of filing your petition, you were separated but not divorced. Therefore, assuming that you got divorced within the time between filing and the time when the officer begins reviewing your case (usually 10-18 months), the officer will send you a request for evidence (RFE) asking for the divorce certificate or decree. The officer will give you 87 days to respond. If you did get divorced by then, you would submit a copy of the divorce decree. If your divorce is still pending and the deadline for the RFE is close, you must send the response explaining the delay and asking for additional time. The USCIS may give you additional time, send you a notice of intent to deny (NOID) giving you additional 87 days, or outright deny your case, but allowing you to refile. If you are divorced, under family immigration law, you may apply for a waiver of the joint filing requirement based on your divorce. In that case, you do not have to wait until 90 days before the expiration of your conditional card; you can file as soon as you have your final divorce decree. A separation or divorce within the first two years of your permanent residency creates a presumption that your marriage was questionable, meaning that you got married just to receive a green card. You can overcome this presumption by submitting many documents to show that your marriage to the US citizen sponsor was real. It is important to hire an experienced family immigration lawyer who can advise you on the documents you can provide and help you organize and prepare the application. Attorneys at I.S. Law Firm have helped many clients receive their permanent green cards even after divorce from their US citizen spouses. If you are not divorced yet, but you are not on good terms with your US citizen spouse, you can still apply for a waiver of joint filing requirement. Family immigration law requires that you submit as many documents as possible to prove that your marriage was genuine and that you and your spouse did live together at some point. You will also have to provide a copy of your final divorce decree at the request of USCIS. A waiver of joint filing requirement cannot be approved without a divorce decree, except in cases where the immigrant was abused by his or her US citizen spouse. A good family immigration lawyer will advise you on the best timing to file your petition, so that you have enough time to obtain your divorce and provide confirmation to USCIS to avoid a denial of your application. Sometimes, your circumstances may change while your family-sponsored immigration petition is pending with USCIS. For example, you may have applied for your permanent green card together with your spouse, but you got divorced while USCIS was processing your application. Or, for example, USCIS may have requested more evidence to process your jointly filed petition, but by the time you receive the request for evidence, you may have separated from your spouse. You should consult with an experienced family immigration lawyer about the best strategy and to make sure that your actions will not be considered misrepresentation by USCIS, which may result in your petition denial, deportation, or complications when you apply for any future immigration benefits such as naturalization or sponsoring your relatives. If you have been abused by your US citizen spouse, you can apply for a permanent green card by yourself, without a divorce decree, and without waiting until 90 days before the expiration of your conditional card. You will have to submit extensive proof of your good-faith valid marriage with the abusive spouse as well as ample evidence of abuse. You should work with a family immigration lawyer who will guide you through the process and help you prepare your petition in the best possible way. With family-based immigration, children who obtain status as either a “child” or “stepchild” based upon marriage of less than two years are also conditional residents and must file to have their conditional status removed. Where the parent is also a conditional resident, the parent can include the child in his or her application. A legally enforceable Affidavit of Support (Form I-864) must be filed by US citizens and LPRs who sponsor family members as immigrants. The law requires the sponsor to demonstrate an income level at or above 125 percent of the federally established poverty line for the sponsor’s household size, which also includes the intended immigrant. If the sponsor’s household income does not meet the income requirements, evidence of assets, such as cash in savings accounts, stocks, bonds, or property, may be considered in determining the sponsor’s ability to support the immigrant. If the sponsor cannot meet the required income level based on income and assets, another person may serve as a joint sponsor. Can I work without work permit EAD while my AOS is pending? I am an F-1 student with pending adjustment of status based on my marriage with US citizen. Can I work during my adjustment of status process even though I haven’t received my EAD? Answer: As I understand, you are currently on F-1 status. During F-1 status, you are not allowed to work in the US. You can begin lawfully working after you receive your work permit based on your adjustment of status process. Any unauthorized work makes you lose your F-1 status, which can make you deportable. However, it would not make you ineligible for adjustment of status. Typically, any unlawful employment would interfere and make you ineligible for adjustment of status. However, since your adjustment process is based on your marriage with US citizen, any work without authorization or prior status violations would be waived, i.e. forgiven. In other words, even though you are not legally allowed to work before you received your green-card or work permit, as long as you proceed with the marriage-based adjustment of status, accepting a job offer would not cause a denial of your adjustment of status case. What happens if I am on a K-1 visa, get married during the 90 days, but I do not file within the dates of my status? Answer: You will be out of status, but this will not be held against you during your adjustment of status. It should not affect your case because you were legally married during your 90 day status. However, until you file your adjustment of status application, you risk of being detained as unlawfully present, in which case, your adjustment of status process will take longer and cost more. Therefore, it is always recommended to begin the process within the 90 days period. I have already applied for a green card but now I want to apply for travel document and work permit while my application is pending. Do I have to pay extra to be able to receive work permit or advance parole since I already filed my I-485? The filing fees for the I-485 adjustment of status include the filing fees for both work and travel authorization. Even if you have already filed the I-485, you can submit the applications for work and travel authorization at any time without an additional fee. Just be sure to provide proof of your pending I-485 in the form of a copy of your receipt notice with your applications. I entered the United States with an Immigrant Visa, do I need to apply to adjust my status in order to receive a green card? If you applied on the basis of an Immigrant Visa to enter the United States, you do not need to adjust your status. As long as you pay the USCIS Immigrant Fee, preferably before entering the United States, the green card will be created and automatically mailed to the address previously listed on your application. If for any reason you do not receive the card 30 days after entering, you can contact our firm or follow up with USCIS on the status of the card. My I-751 has been pending for almost a year, the receipt notice shows it has been extended for only one year. Will I fall out of status? Currently (as of February 2017) the USCIS processing times for I-751’s is 11 months and sometimes more. However, that typically fluctuates and can cause your application to be pending for over one year. You will not fall out of status even if USCIS is continuing to process your case past the one year extension. But to provide proof that your application is still pending and you are not out of status, you can attend an InfoPass appointment at your local USCIS office, where the USCIS officer can stamp your passport to show you are still in status. If your application falls outside the normal processing time, you can also call the USCIS main phone number and submit a case inquiry for them to check on the status of your case or place a service request. Can I petition for a family member or spouse living outside the United States while I am also living outside the United States? A United States Citizen or Permanent Resident may file a petition for an immediate relative while living abroad. However, they must be able to prove to the National Visa Center and the selected Embassy that they are still domiciled in the United States. This means that they must show that their time abroad is only temporary, and they will be returning to the United States before or upon the approval of the petition for their relative. Evidence must be provided to prove the Petitioner’s U.S. domicile. Examples of such evidence include maintaining a U.S. residence (mortgage statements, lease agreements, etc. ), a job offer from a U.S. based employer, maintaining of U.S. bank accounts and other types of evidence. I have a green card. I filed I-130 (Immediate Relative Petition) for my wife and my child, who reside abroad. The petition was approved, but as I understand, it will take almost 2 years to bring them here. Can I bring them with a tourist visa or V visa? Unfortunately, both of those methods are not available. Your family is not eligible for a tourist visa, because they have an immigrant intent. For a tourist visa, they have to prove that they have no intention of living in the US permanently. But, since they are clearly intending to immigrate into the US, based on your petition, they would not be eligible for tourist visas. They are also not eligible for V visas, because their case had not been pending for over 3 years. V visas are only available if the priority dates are so delayed, that the beneficiary had been waiting for over 3 years. There have been no V visas issued for many years lately, because the priority dates for spouses and children of lawful permanent residents have been less than 3 years. Can disability and social security be used to sponsor an immigrant on the I-864, Affidavit of Support Form? Yes, because sponsorship is determined by the expected income of the current year (as opposed to the income on the previous year’s tax return) disability, workman’s compensation and Social Security can all be used to qualify to sponsor an immigrant. Even if the income is not taxable (i.e. disability), you can still show the evidence of the income with multiple pay stubs and checks issued to you that verify how much you earn in disability each month. I applied for asylum, but my family members are still in Iraq. How do I expedite my asylum case? First, your family members may be eligible for Humanitarian Parole. Humanitarian Parole is designed to allow the applicants to expeditiously enter the United States due to a compelling emergency. The current processing time anywhere between 3 weeks to 3 months. To be eligible for Humanitarian Parole, you must demonstrate that your family members are either under a risk of harm or have some medical condition that needs immediate care or any other urgent humanitarian reason. Simply, showing the need to reunite your family is not enough. To file for Humanitarian Parole, you (i.e. the person in the US) would file form I-131 for each family member, attaching a detailed affidavit and evidence of the emergency condition. Each case is considered separately. However, it is frequently granted to family members of asylum applicants who are under risk of harm or need of urgent care. Now, as to expediting the asylum interview or hearing, you must contact your local asylum office or file a motion with the immigration court. You can also request the expedited individual hearing at your master hearing. The judge will ask you why your hearing should be expedited, and if you demonstrate that your family is separated, the court may put your case on short list, which means that your hearing will be scheduled at the first available window, when, for example, another hearing gets cancelled or new time slot becomes available. Same applies for the USCIS asylum offices. If you demonstrate that your family is still in Iraq, the asylum office may put your case on a short-list of expedited cases. Each asylum office had its own system of short-listing cases. For example, the Arlington Asylum Office, at least until recent times, was accepting short list requests for every case, as long as your application is full and complete and does not need any supplementation. In the past, the Arlington Asylum Office’s short list worked well, probably because not many applicants knew about it. Now, since almost every case gets short-listed, the likelihood of getting your case expedited without proof of exceptional reasons (e.g. family being separated) is much less. Therefore, it is imperative to provide evidence at the time when you request to short-list your case. To do so, you need to contact your local asylum office and following your local asylum office’s rules. 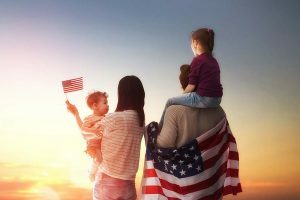 Short Description: Historically, family-based immigration and family reunification immigration received favored status under US immigration laws. The Immigration and Nationality Act allows for close relatives of US citizens and legal permanent residents to immigrate to the US. The ease and speed in which this can be accomplished depends on the relationship of the family members, whether the sponsor is a US citizen or a Lawful Permanent Resident (LPR) and, sometimes, the country where the family member is located. Preliminarily, family immigration law as stipulated in the Immigration and Nationality Act (INA) creates two groups for family members: immediate relatives and family-based preference categories.